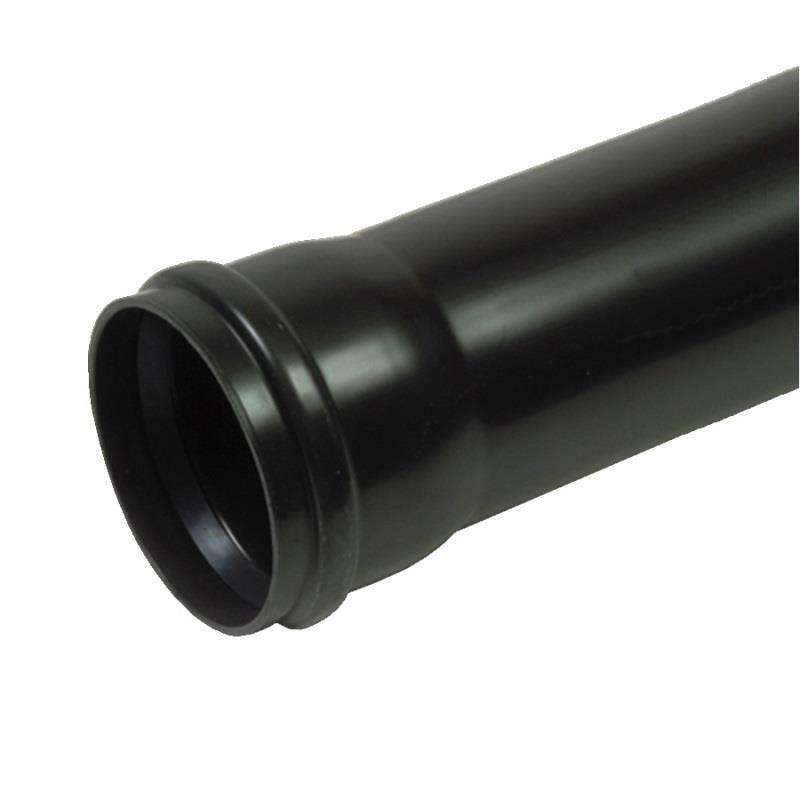 POLYPIPE Manufacturer's Product Code: SP420B. 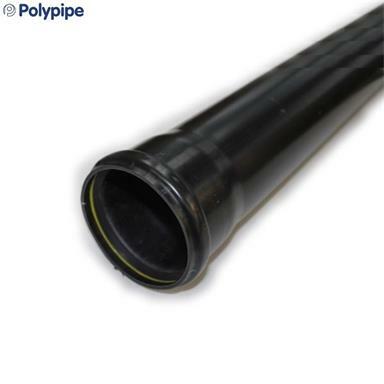 POLYPIPE Ring Seal (Push-Fit) Soil & Vent Pipe - Ø110mm/4" Single Socket Pipe; 2.0 metres; Black. - Connections: Ring Seal (push-fit) Socket x Spigot (fits into another socketed pipe, fitting or connector). - Material: PVCu; Manufactured to BS EN 1329-1 and BS 4514 (PVCu soil pipes & fittings: 110mm).